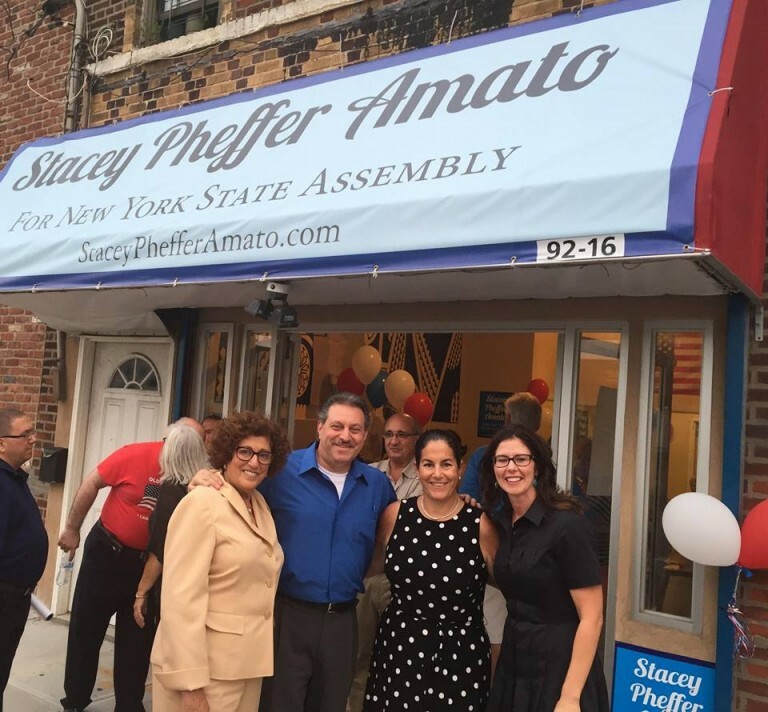 South Queens Assembly candidate Stacey Pheffer Amato last week hosted supporters at the formal grand opening of her campaign headquarters in Rockaway Beach. The Democrat, who is vying to succeed Phil Goldfeder in the 23rd District, welcomed more than 100 guests to the Rockaway Beach Boulevard office. It’s been a busy week for the Rockaway Democratic district leader. On Tuesday, 1199SEIU United Healthcare Workers East and the New York State Nurses Association endorsed Pheffer Amato. Goldfeder stunned colleagues and constituents in June when he announced that he would not seek a fourth term in Albany. The popular pol’s next stop will be Yeshiva University, where he is slated to step in as director of Government Relations in January.